WOW HEATHER!! Very well said on everything. GOOD JOB! OH MY GOD . . . AND HOW SWEET YOU ARE! I am ROBIN. I love working with all crafters! I GET SO EXCITED WITH EVERYONE as they venture into new areas! I'm so happy to share all the combined experiences of all my students, customers as well as MY OWN PERSONAL stuff. I feel that networking all info. is a great thing for us all! I encourage anyone to vent ANY frustrations on soldering pieces. I have some short cuts I can share to make it more fun and less frustrating. Hi! 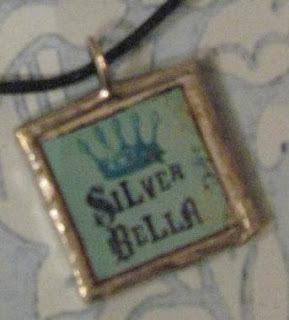 I found you looking for info on the silver gleam solder! Trying to figure how about the "real" silver that's supposedly incorporated. Also, I bought my last batch of stuff from Robin and I cannot believe how super fast her shipping is! I got it VERY fast!!!!!! Thanks for the info on the Copper sheet! Didn't know that! I'm getting better and it does take a lot of practice! Gel flux is ideal (I thought i liked the paste!) and the silver gleam is beautiful to solder with. ~*Thank you Heather! *~ Your info is so good! International Charm Day is 4/28! Please join us!